When my daughter was diagnosed with Celiac in the first grade, I thought that simply going off of gluten would be enough to heal her of the major tummy troubles she had been experiencing. As it turns out, I was wrong. Eliminating gluten from the diet is a very important first step, as gluten is the cause of all the gut damage and continuing to eat it will only result in more gut damage and misery. But there are a few more steps to be taken in order to promote faster gut healing. 1. Get tested for other food allergies. Gluten may not be the only culprit in the inflammation you have experienced. In order for your gut to heal completely, it is important that you stay away from all foods that you may be allergic or sensitive to—not just gluten. 2. Consider going on a FODMAPS or GAPS diet. While you are still in the process of healing, you will also want to stay away from foods that are difficult to digest. I have found that I do much better when I am adhering to the GAPS protocols. Pay attention to how different foods affect your digestion, and stay away from them if they are causing negative symptoms. My Celiac daughter, now 10 years old, sometimes has gut issues show up when she has been eating too much sugar. Even though she hasn't eaten gluten, the symptoms can be similar. In these cases, I put her back on a stricter diet for a while in order to promote healing. You will not have to eat this strictly forever, but doing so now will promote much quicker healing and you can then branch out with the foods you eat. Even moderate walking is enough to help get your digestion moving properly because it stimulates the nerves that help with digestion. Sitting for long periods of time will slow down the neurological functions that aid in digestion and contribute to more inflammation. 4. Take a high-quality probiotic, such as hyperbiotics. Probiotics are helpful for improving gut function, and are even more helpful for those who already have damaged guts due to Celiac disease or other gluten intolerances. 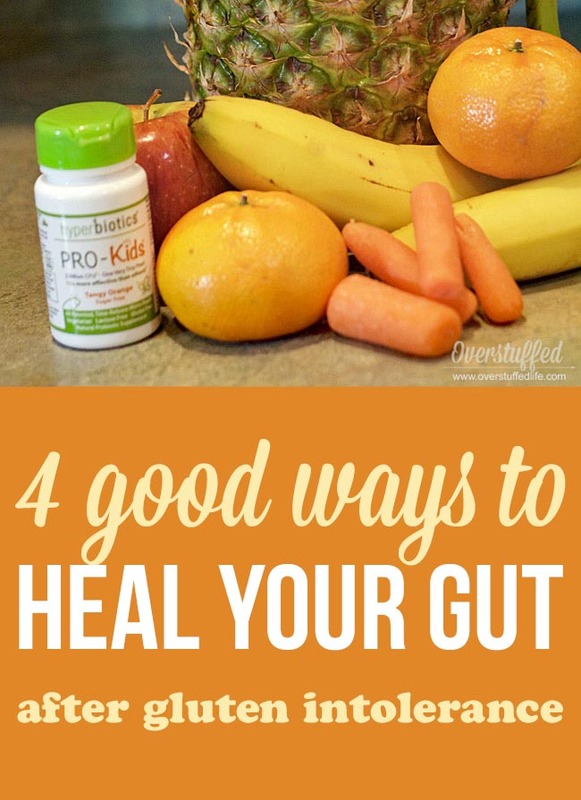 We all need those good bacteria in our guts so that our immune systems can work properly. I have been giving Sophia the Pro-Kids formula from Hyperbiotics. Their line of probiotics is both affordable and effective, which I love. I also love that they are free of gluten (super important for us! ), lactose, sugar, soy, nuts, artificial flavors, artificial colors, and artificial preservatives. For those who are on a FODMAPS or GAPS diet, they will be safe to take and not cause extra issues. The Pro-Kids formula is great for kids because they are tiny little pearls that kids ages 4 and up can easily swallow (they taste like tangy orange). 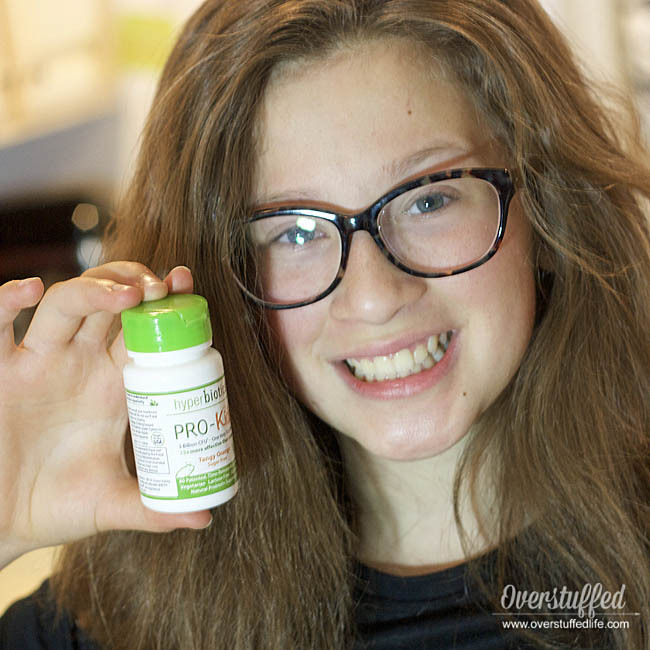 My Sophia hates swallowing pills and can get pretty stubborn about doing it, but she has had no problem with the Pro-Kids formula and actually looks forward to taking it. 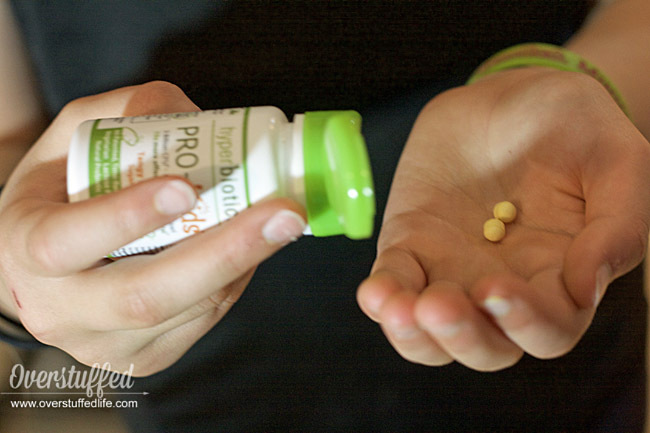 Hyperbiotics can be found at Target stores. 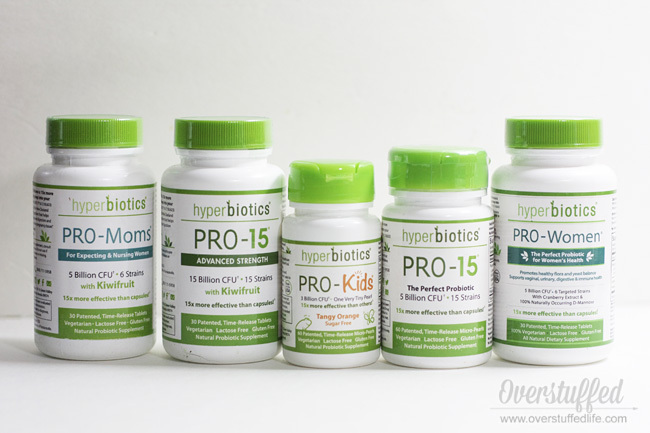 They offer a line that has something for everyone: Pro-Moms for nursing moms, Pro-Women for all women, Pro-15 for everyone, Pro-15 Advanced Strength for those who need a little extra help in the beneficial bacteria department, and Pro-Kids for kids ages 4 and up. If you need to heal your gut, #followyourgut to Target to get yourself a bottle.